Angelika Milster celebrated a highly acclaimed premiere as Norma Desmond in Andrew Lloyd Webber’s musical “Sunset Boulevard” at the Landestheater Thüringen during the current theatre season. The erstwhile silent movie diva lives alone with her butler, almost forgotten by the public, in a majestic villa. Then the young and moderately successful screenwriter Joe Gillis turns up and breaks her out of her isolation. She entrusts him with drafting her scripts, with which she plans a comeback. He gets involved in the deal, but at the same time steals his best friend’s girlfriend. Norma finds out about the double dealing and experiences a bitter disappointment with her comeback plans as well. The Leipziger Volkszeitung wrote enthusiastically after her premiere in Altenburg: “Milster subtly interprets the role of a forgotten, aging Hollywood diva, who cannot bear to see her fame decline. 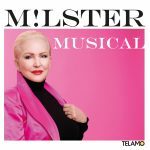 … With her lyrically beautiful voice, she makes every one of her songs a hit and achieves her vocal and dramatic masterpiece with the title “The Greatest Star of All”. Her superb emotionality is captivating here. … She is completely absorbed in this game and alternates excellently between the expansive facial play and gestures of a silent movie star and the powerful emotions of a broken woman”. 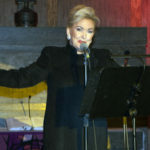 The Thüringer Allgemeine asserted after her premiere in Gera: “Angelika Milster is completely in her element in this “Sunset Boulevard”. The singer shines and sparkles; she wins the hearts of the audience right from the very first great song. She is certain to receive the loudest and longest applause and at the end there are standing ovations”. Continuing “a star plays a star, a diva a diva, seductive, magical and human”. Further information about “Sunset Boulevard” at the Theater und Philharmonie Thüringen can be found here. You can obtain tickets here!